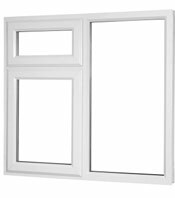 Specialising in Double Glazing, K-Glass caters for domestic and commercial customers relating to all forms of glazing repairs, products and services. We specialise in providing a 24 hour reactive and emergency service. Our engineers are fully qualified, highly skilled, and are experts in their fields operating a “right first time” delivery. We are ready to take your call day or night and as we don't use outside call service centres, you know when you call you will get one to one attention from one of our glazing experts.